Olga is staying with Nana for the summer holidays. 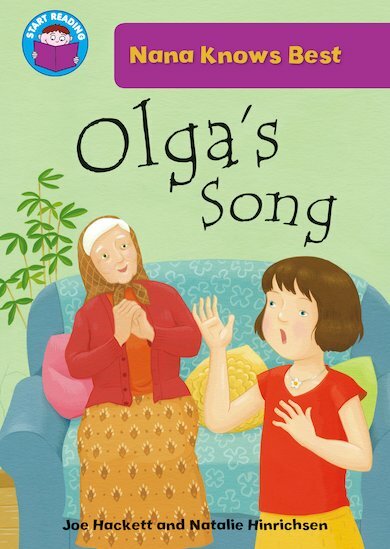 Nana wants Olga to sing a song to celebrate her name day, but Olga thinks it’s just a silly Bulgarian tradition. She wants to listen to her music player instead! A delightful story to boost enthusiasm and literacy, featuring plenty of exciting words to learn. Suitable for readers at Purple Band 8 of the Book Bands for Guided Reading.